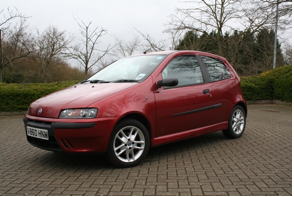 The other weekend I said good bye to our much loved Fiat Punto. Although it was only mine for a year, it was the other half’s pride and joy for nearly 6 years before that, so its been with us a long time. Whilst it seems a bit silly to get emotional (I didn’t cry though, well, not this time) over a heap of metal parts, for a car thats been with us this many years theres a lot of memories that go with it.